“Air Raid Precautions (ARP) were organised by the national government and delivered by the local authorities. The aim was to protect civilians from the danger of air-raids. After World War One, military experts predicted that in any future war there would be large-scale bombing of the British civilian population, resulting in huge casualties. In April 1937, an Air Raid Wardens’ Service was created. By the middle of 1938 about 200,000 people were involved, with another half a million enrolling during the Munich Crisis of September 1938. 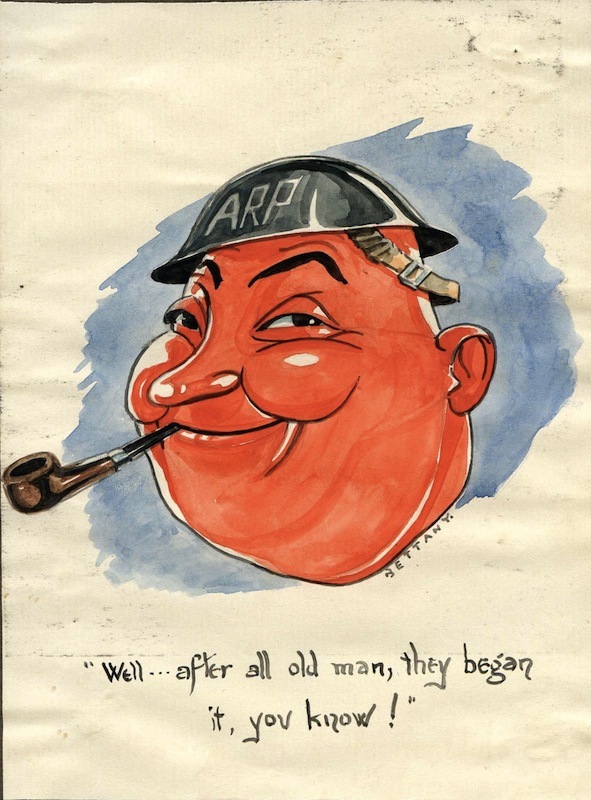 By the outbreak of war there were more than 1.5 million in the ARP (Air Raid Precautions), or Civil Defence as it was later re-named in Britain, most of who were part time volunteers who had full time day jobs. Four years before WW2 began, in 1935, the British prime minister, Stanley Baldwin, published a circular entitled Air Raid Precautions (ARP) inviting local authorities to make plans to protect their people in event of a war. Such plans included building public air raid shelters.